Welcome parents and staff to the HMD Nursing Department!!! Hello, Beeville! My name is Guadalupe (Lupita) Barrientos. 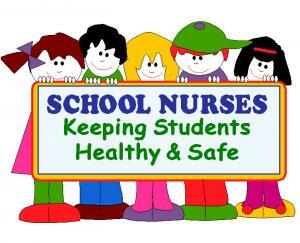 I am the school nurse at Hampton-Moreno-Duggat Early Education Center. If you have any questions or concerns please call me, or feel free to stop by my office at any time! I’m looking forward to a new awesome school year! - Medications CANNOT be held in the Nurses’ office for more than (10 days) without a physician signature. - Any students that have a temperature of 100.4 and above MUST stay out of school for 24 hours FEVER FREE without any fever reducing medication. - The nurse will fax your primary doctor for their signature on the Medication administration request form and/or to request action plans, but if the doctor does not follow up with the school nurse, it is your responsibility to retreive the forms needed from the doctor and give them to the nurse.